Many manufacturers of welding equipment have a ton of great information on their websites from product news, to tips and solutions, and even some online communities where you can get advice from fellow fabricators. Be sure to maintain the front end parts like the o-rings, gaskets, gas valves, and seals are all in good shape. Then make sure that the cable connections are tight — but be careful — you don’t want to over tighten! 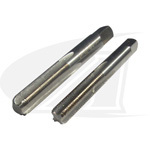 Arc-Zone also offers TIG Torch tap repair kits to keep the threads from damage. And, of course, if you need a new TIG torch, Arc-Zone has a great selection of not only Weldcraft, but CK TIG torches as well. Miller, for Business Solutions and Technical Articles, an online community, and a program to help you choose the right machine for your welding application. Weldcraft, for help selecting the right TIG torch for your welding job, hook up guides, and troubleshooting. CK Worldwide has a great lineup of welding product videos as well as technical information. Lincoln Electric has a showcase of welding projects in addition to technical product information. Arc-Zone.com has a welding library full of information about: Welding titanium, preparing your tungsten electrodes, selecting a welding helmet, eye care for welders and much more. And of course our customer care team is always ready to get you the product you need for your specific welding application. Give them a call at 800-944-2243 (toll free U.S.) or 760-993-1500 (world wide) or Live Chat at Arc-Zone.com.